Hungary's government on Wednesday (14 November) confirmed that Macedonia's convicted former prime minister, Nikola Gruevski, has submitted an asylum request with authorities there, with a hearing to be granted for "security reasons." The issue has put the spotlight again on hardline prime minister Viktor Orban, who has championed an anti-immigration policy - but has now allowed a convicted politician, and pro-Kremlin ally, to seek refuge in the country. 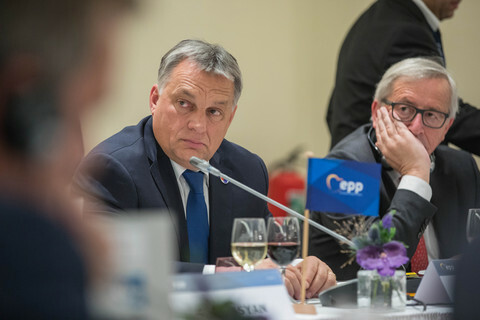 It is also another indication that Orban is prone to side with the Kremlin against the EU when it comes to foreign policy issues. 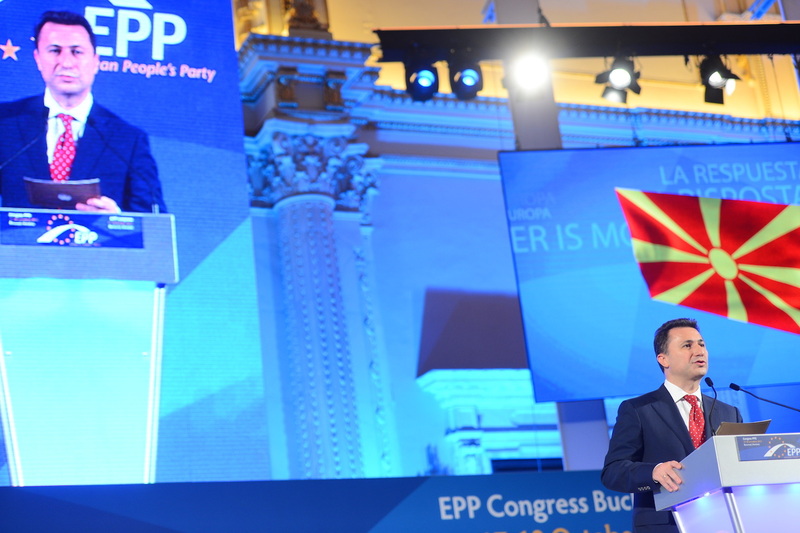 Gruevski on Tuesday announced on Facebook that he had arrived in Budapest and sought asylum in Hungary after receiving "countless threats" on his life in the previous days. Gruevski had been supposed to show up in jail to start a two-year sentence for abuse of office. The ex-PM, who served from 2006-2016, has several other ongoing cases against him, including a wiretapping scandal and election fraud, which he claims to be politically motivated. Macedonian authorities had ordered his arrest on Monday. Hungarian authorities had initially refused to comment on the issue. But on Wednesday, the government issued a statement confirming that Gruevski filed for asylum. "The former prime minister of Macedonia has made a declaration of his intention to submit a request for refugee status in Hungary. 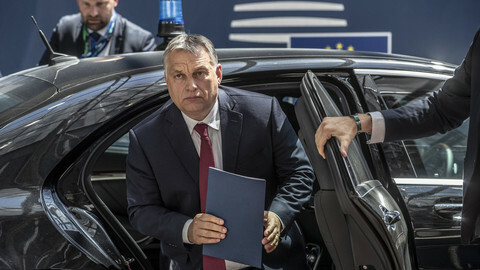 […] Given that he was prime minister of his country for ten years, for security reasons the Hungarian authorities have allowed Mr Gruevski to have his asylum request submitted and heard at the headquarters of the Immigration and asylum office in Budapest," the statement said. 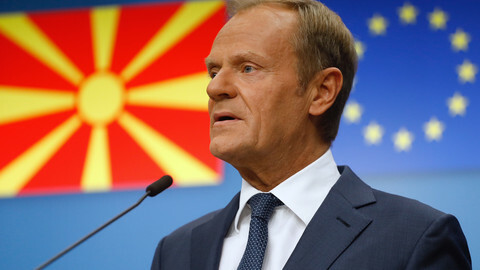 It added that Macedonia is "a strategic partner and an important ally" of Hungary, and said the assessment of the asylum request is "solely a legal issue". Hungary has erected a fence on its southern border and introduced strict migration policies, including creating so-called transit zones at the border, where asylum seekers could file their request. What makes Hungary's sudden openness to asylum requests unique is that Gruevski had reported that he had his passport confiscated to prevent him fleeing Macedonia. It theoretically means he had to enter Hungary illegally, and he would have needed to file his requests at one of the two transit sites. Hungary has also deemed Macedonia and Serbia – which lays between the two countries – 'safe countries', and 'safe countries of origins', terms that mean asylum seekers from there have to prove that the country has become unsafe for them, virtually making it impossible to claim asylum. Gruevski stepped down in January 2016 following mass protests against him in 2015 and as part of an EU-mediated deal. He had been a PM for ten years, and faced serious allegations of corruption and abuse of office. 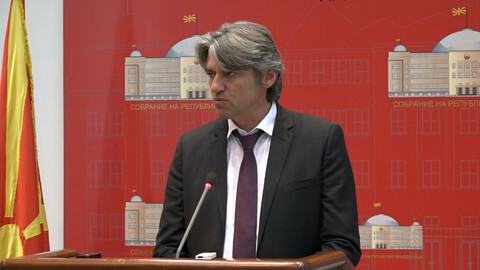 The EU-mediated deal ended years of political turmoil in the country between Gruevki's nationalist VMRO-DPMNE party and the now ruling Social Democrats. Gruevski's VMRO-DPMNE (which is in the same political family, the European People's Party (EPP) as Orban's Fidesz), opposed the historic deal reached in June with Greece over the country's name, clearing the way for the Balkan country to become a Nato and EU member. 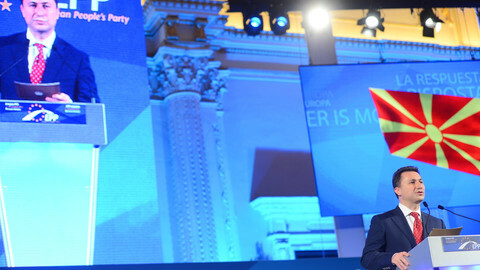 Orban sent a video message to a VMRO-DPMNE rally in the summer, urging the party's supporters not to accept changing the country's name to North Macedonia in accordance with the name deal, and not to bow to "pressure from foreign powers". The Balkans is one of the regions where the EU and Russia are in a race for political influence, and Moscow wants to prevent countries in the region becoming Nato members. 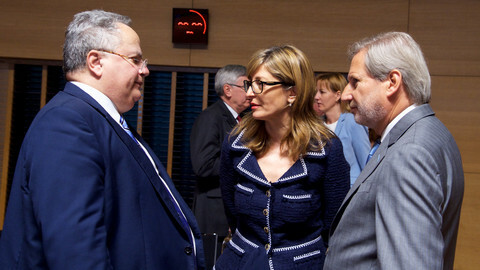 The EU at the time called the deal a "unique opportunity for reconciliation" between Macedonia and Greece. Gruevski was also the first to use the "Stop Soros" slogan, claiming that US billionaire George Soros and NGOs financed by Soros are targeting him. Orban later used the 'Stop Soros' theme to whip up sentiment against migrants and civil society in Hungary and win elections last April. Since Gruevski left power, people close to Orban and his Fidesz party has been buying up stakes in Macedonian media outlets supporting a pro-VMRO coverage. 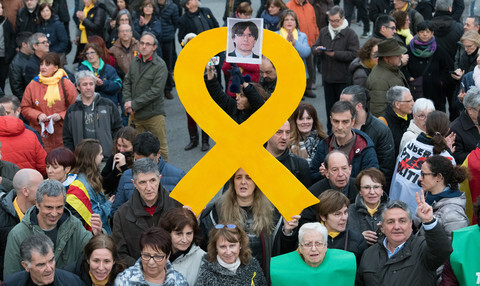 On Wednesday, the EU's foreign affairs chief Federica Mogherini declined to comment on the issue. Gruevski ends 10-year reign, for now, urging opposition to respect April election date. EU's Hahn to decide if country ready for a fair vote. After the fleeing of ex-PM Nikola Gruevski to Hungary, what Macedonia needs is an independent judiciary so that wrongdoers from all parties are brought behind bars, and a reconciliation between Albanians and Macedonians, based on full equality between communities. Orban's Hungary will edge closer to Russia and cause discord within its Western alliances if it gets away with harbouring a convicted ex-PM.